Pumice stones are a very light and porous volcanic rock (stone); they are usually whitish or grey in color. 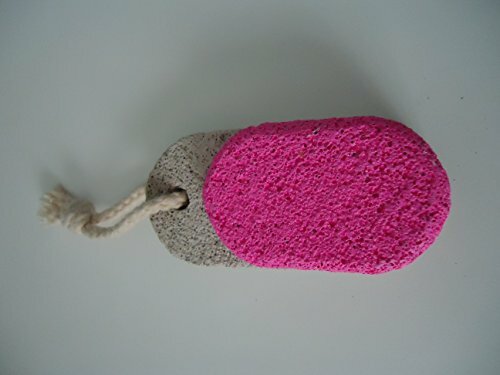 Pumice stones are used as an abrasive, especially for removing hard or callused skin. Pumica stones best friend for washing showers abrasive to thick skin and feet callus. The ancient Greeks used pumice to remove body hair, and some still use it for this purpose. Pumice makes a gentle natural hair remover. Soak your skin in the bath or in a shower until it's warm and soft. Wet the pumice stone, then rub your skin using a gentle circular motion. Within about 30 seconds, the area you're rubbing will be free of hair. It should not be painful. If you feel pain, make sure you aren't pressing too hard. The price for three pieces.